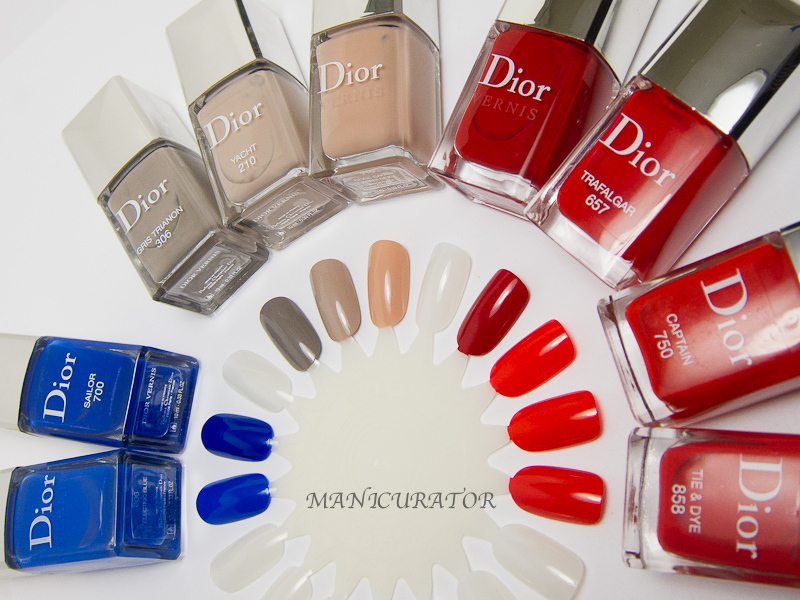 Big things are happening in the world of Dior Vernis! 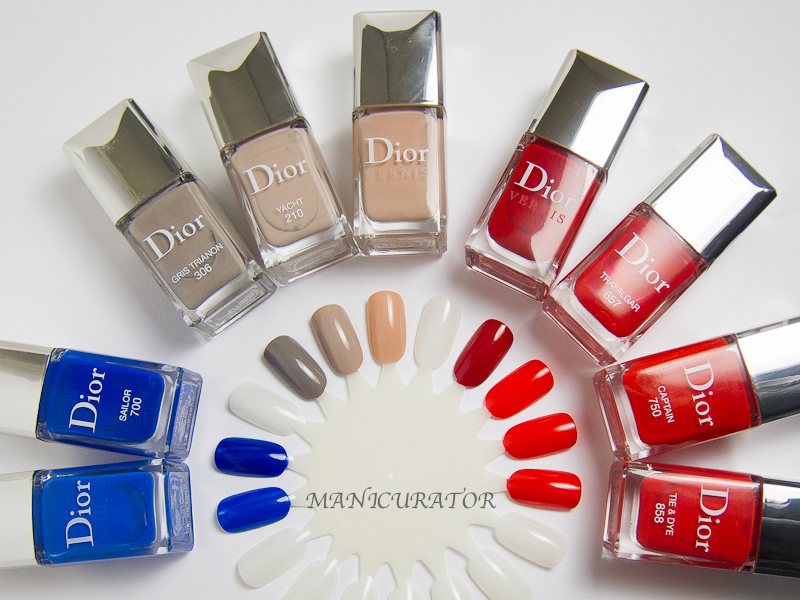 For starters, superstar manicurist Anatole Rainey has recently been appointed as Dior's International Nail Designer. He has a degree in art history and I love that he has been quoted as saying that painting nails is "... about the creation of an art image." 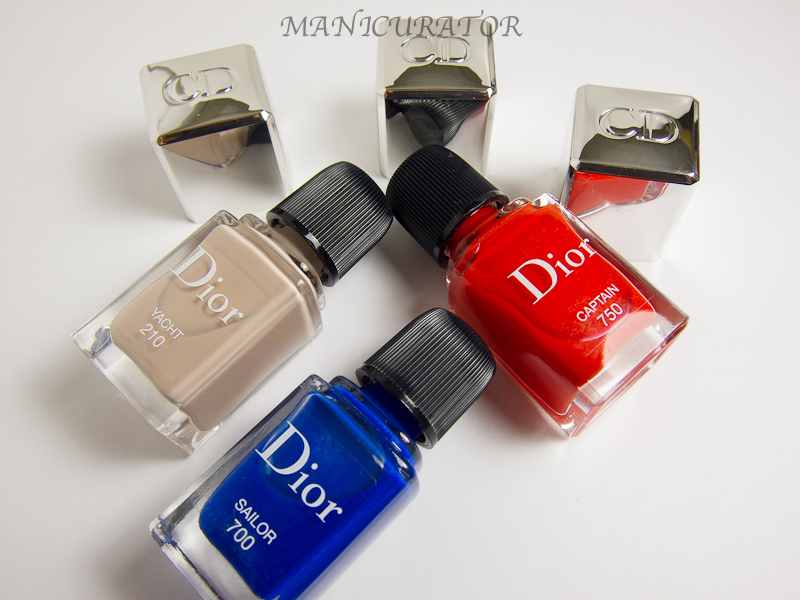 Source: crfashionbook.com I believe this means that Dior is entering into the nail art game and I'm sure excited for it. We've seen them play with embellishments with the Sparkling Powders and Jewel Manicure crystal pearls in 2013. Today's Transat Collection includes nail art stickers and I know there is a Nail Artistry Box launching in Europe very soon (not sure if a U.S. release will follow). OK now onto today's collection inspired by Transatlanic travel and the always classic nautical theme. 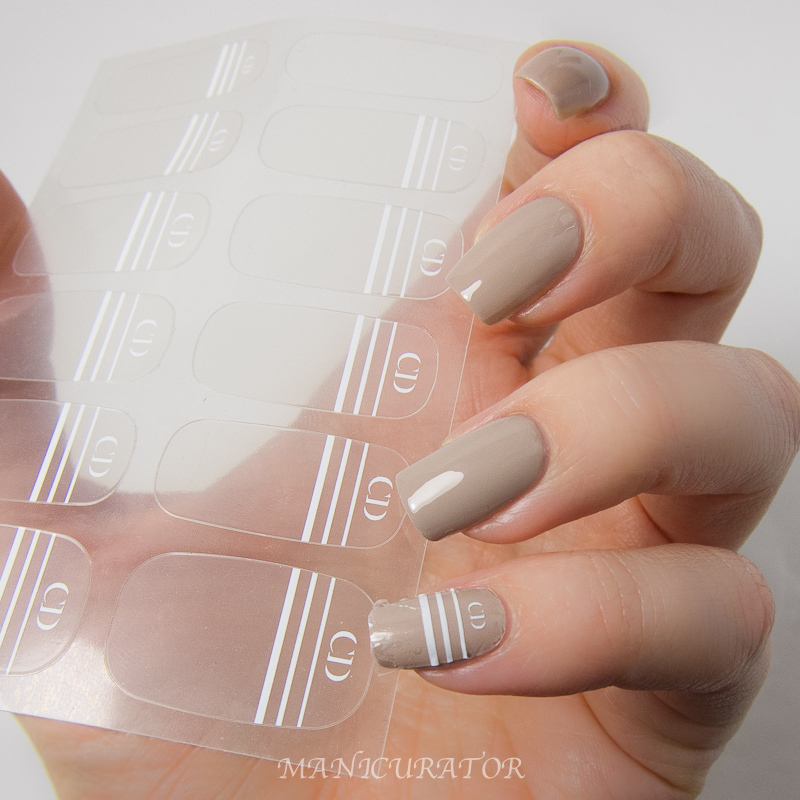 Each shade comes boxed with a set of (clear) nail stickers with white stripes and a white CD logo, and a mini nail file to file off the extra sticker once applied to nail. 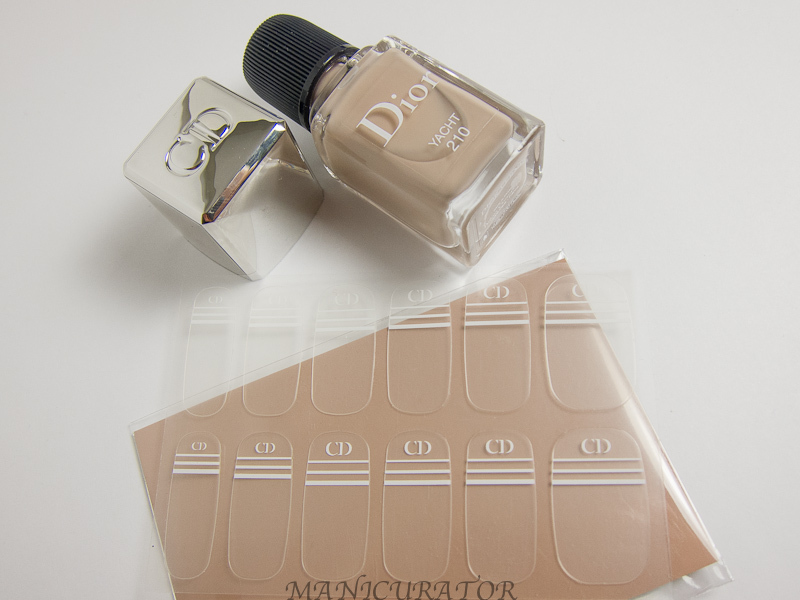 Each shades come in its own box with stickers, file and instruction card. 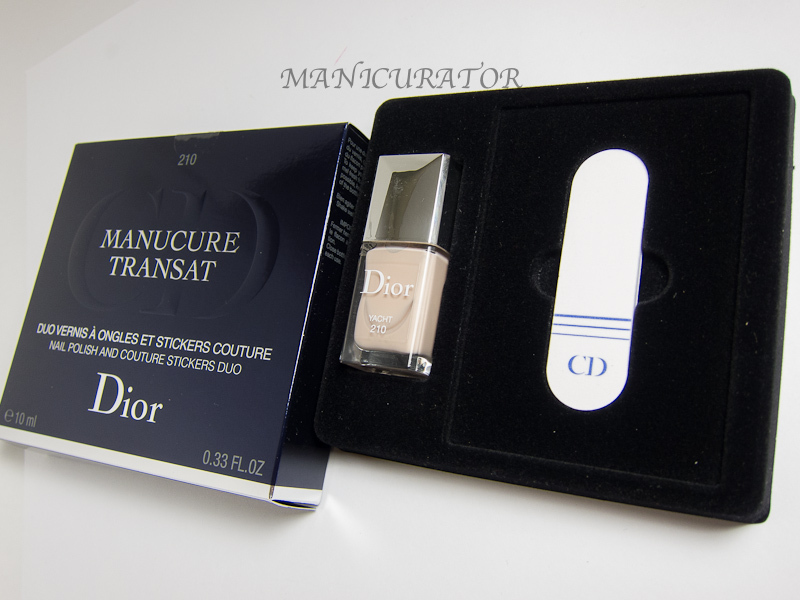 These are quite easy to apply, my thoughts coming up..
All swatches are with Diorlisse Ridge Filler base. 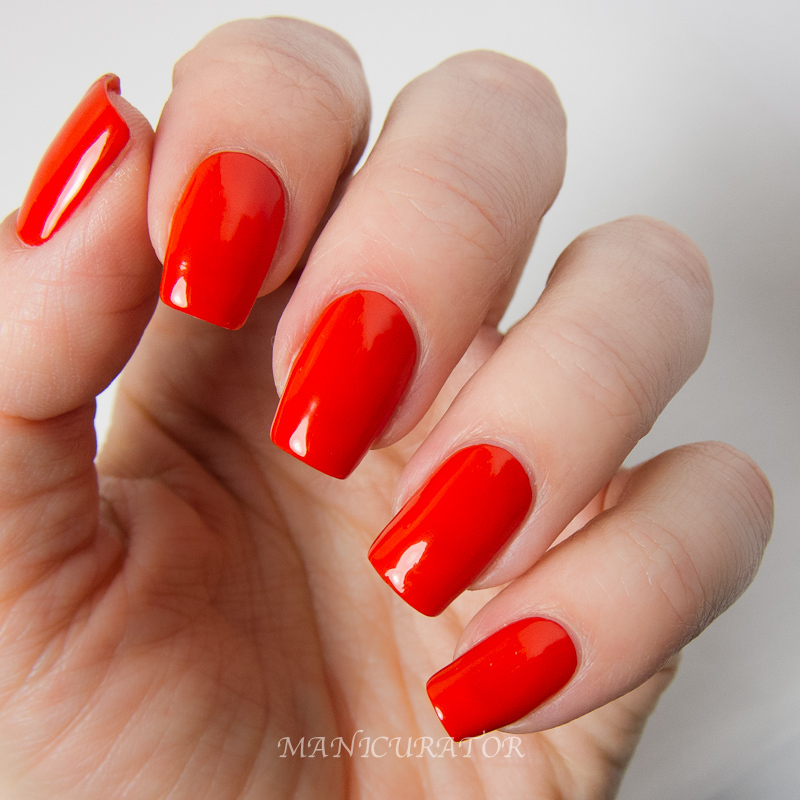 This is two coats, absolutely perfect formula. 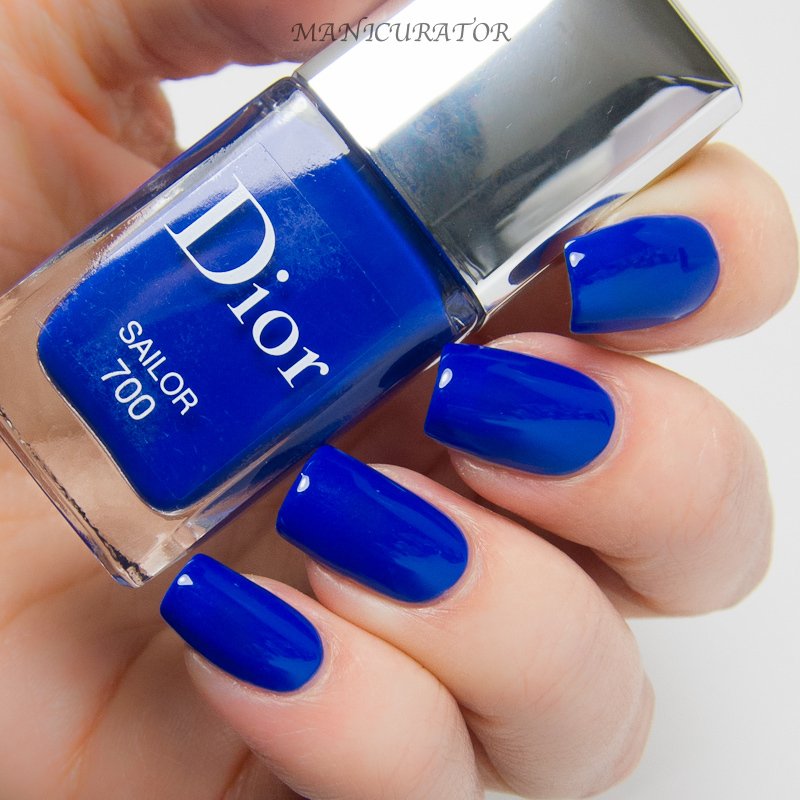 I used Dior Gel Coat top coat here but it wasn't needed. Yacht is self leveling and dries to a nice gloss. 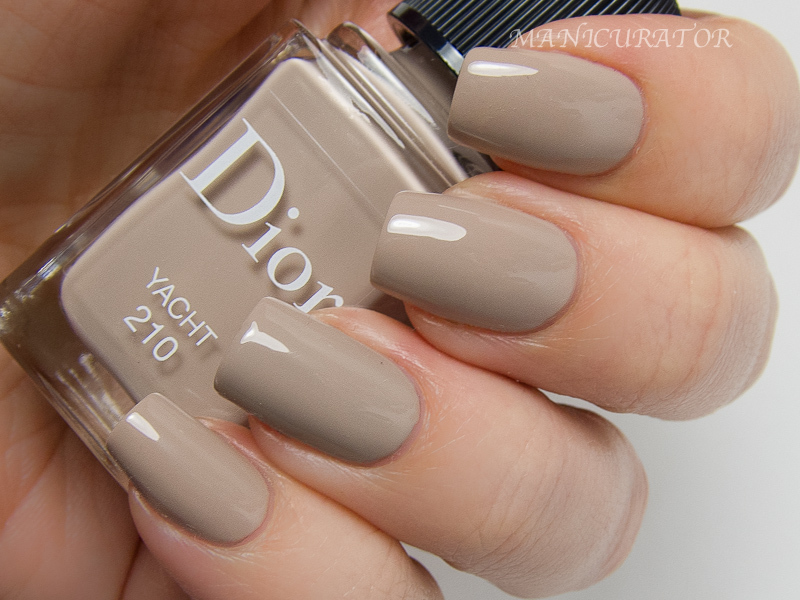 There's a hint of shimmer that can't be seen easily on the nail, but adds to the softness of this shade. A look at the included stickers. I didn't do well with these, but I have fairly curved nails. These are actual stickers...not nail polish and I find that they don't lay flat, without it buckling on my nails. 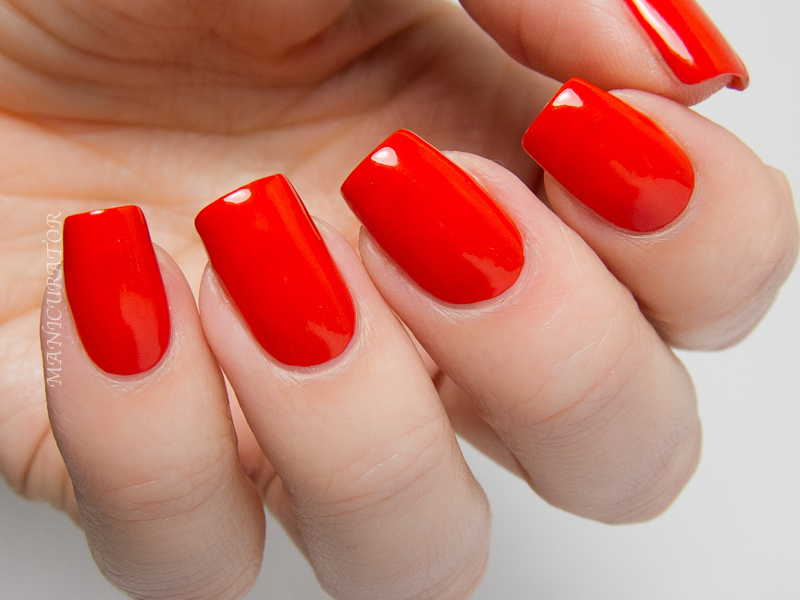 You may have more luck with them if you flatter or shorter nails. I certainly love the idea of them. 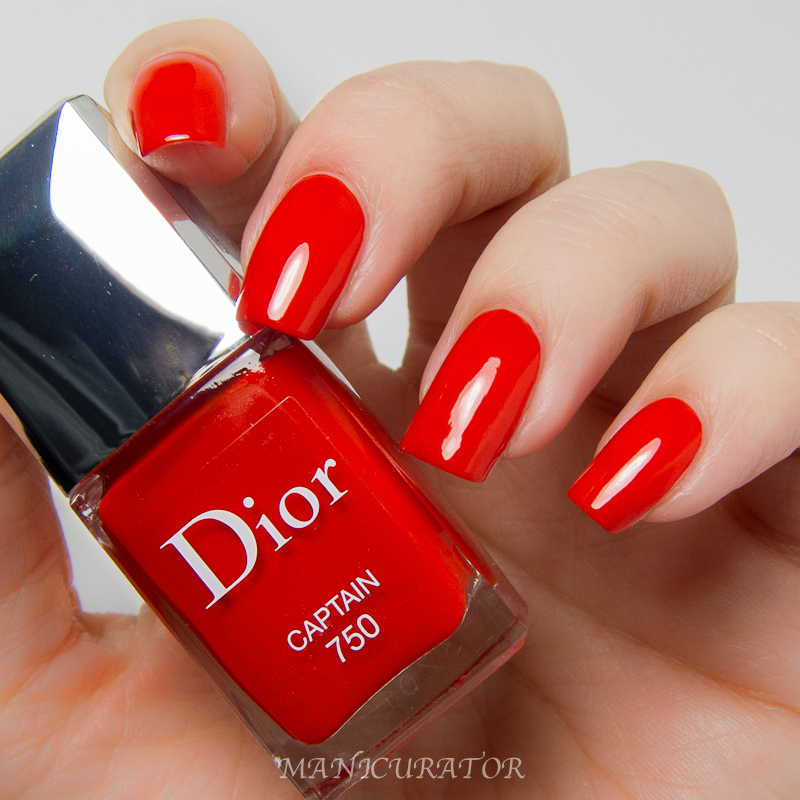 Dior Captain 750 - a bright and vibrant classic red, it doesn't lean blue or orange. Another perfect formula, full high gloss coverage in two coats. No top coat here. 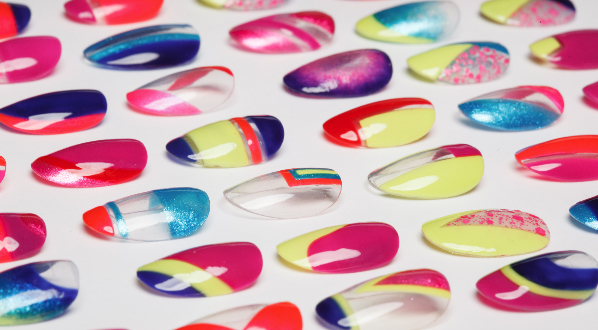 Captain is a creme-jelly hybrid so you will see that super gloss and juicy look from jelly finishes. 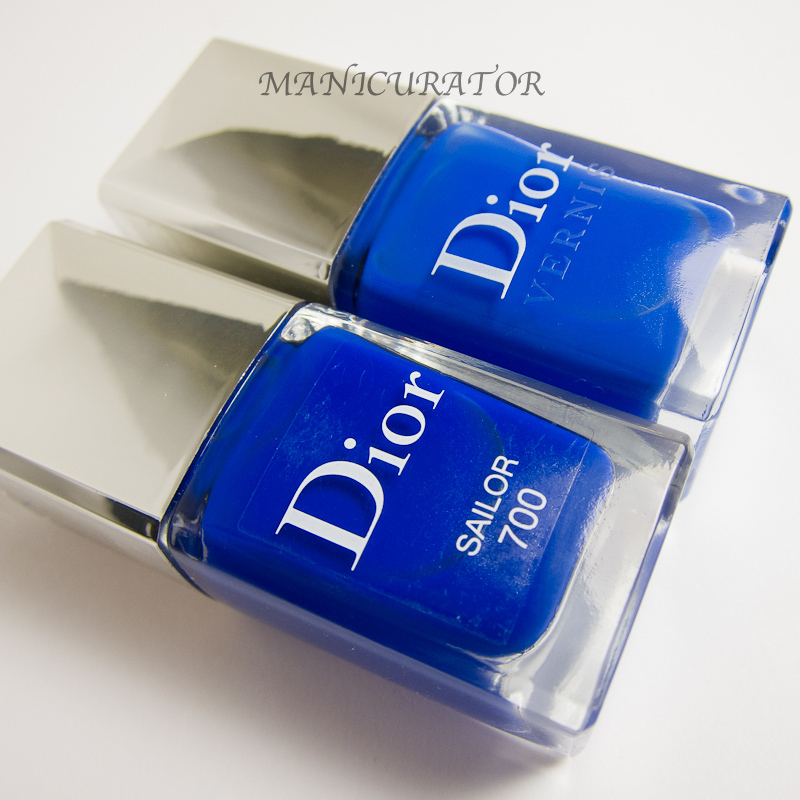 It also has a hint of shimmer that is visible in the bottle but not so much on the nail, but helps make this shade pop. 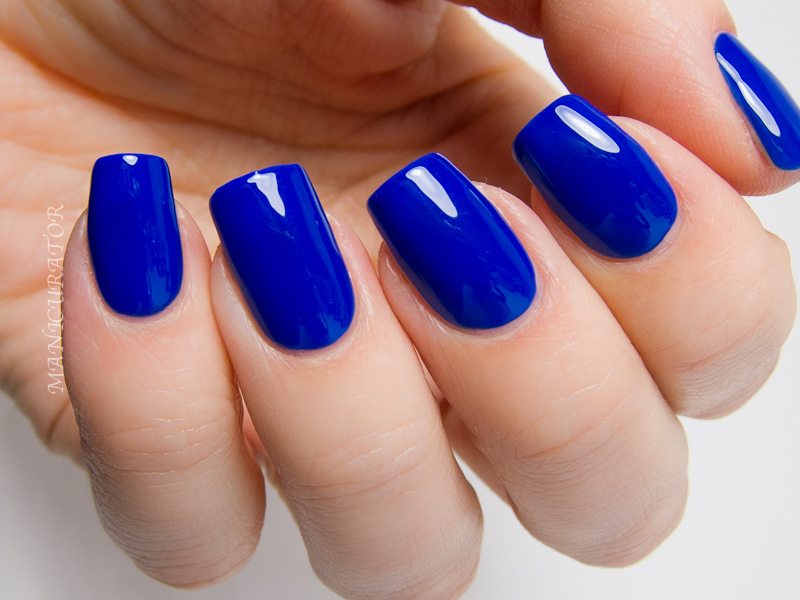 A stunning blue that goes on effortlessly. 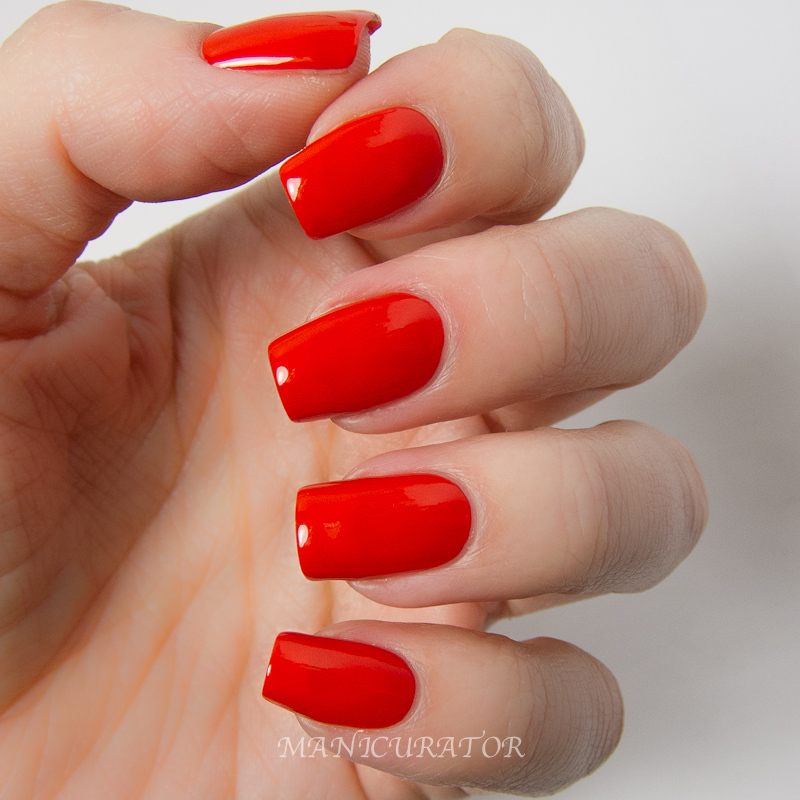 Also a creme-jelly hybrid finish, full coverage in two coats. This one has a subtle shimmer that actually is visible on the nail when you look closely or it catches the light. 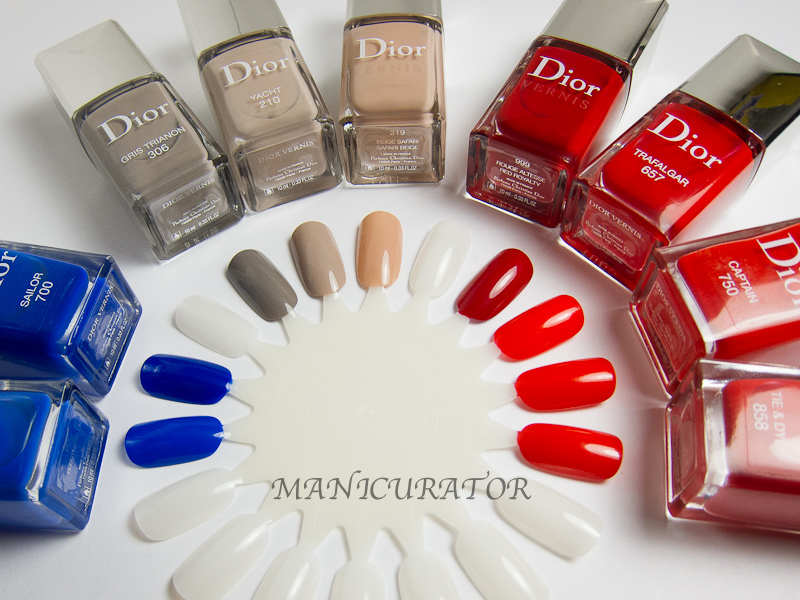 So I wanted to show you some Dior comparisons. I'd like to start including comparisons on a regular basis, I always find them so helpful when I see them on other blogs. Let me know in the comments if it's something you'd like to see more of. As you can see, the blues are similar, but not dupes. 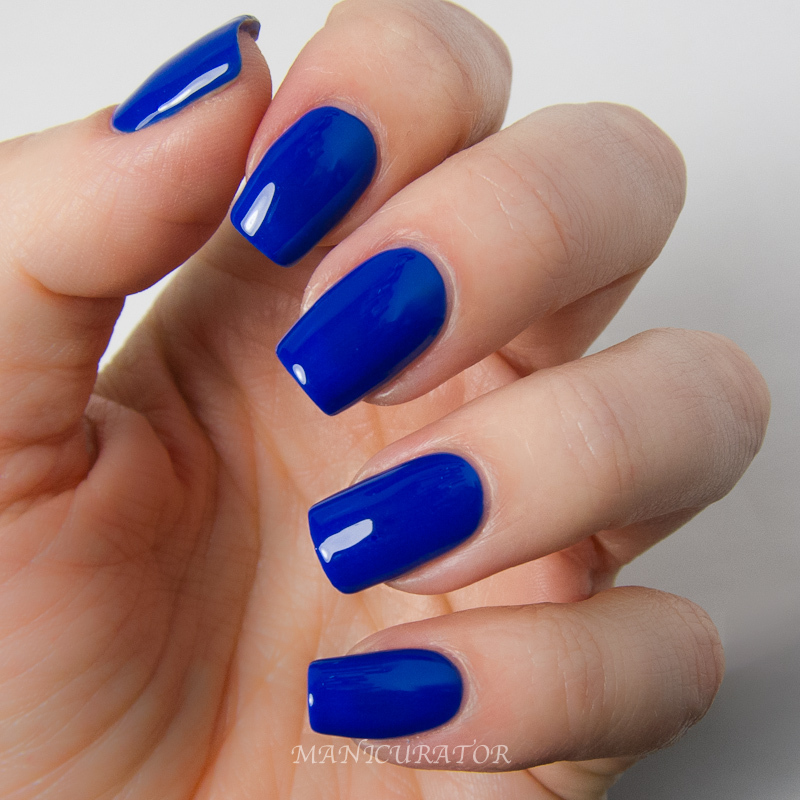 Sailor is deeper and darker with a jelly infused formula as opposed to Electric Blue which is a straight up creme. 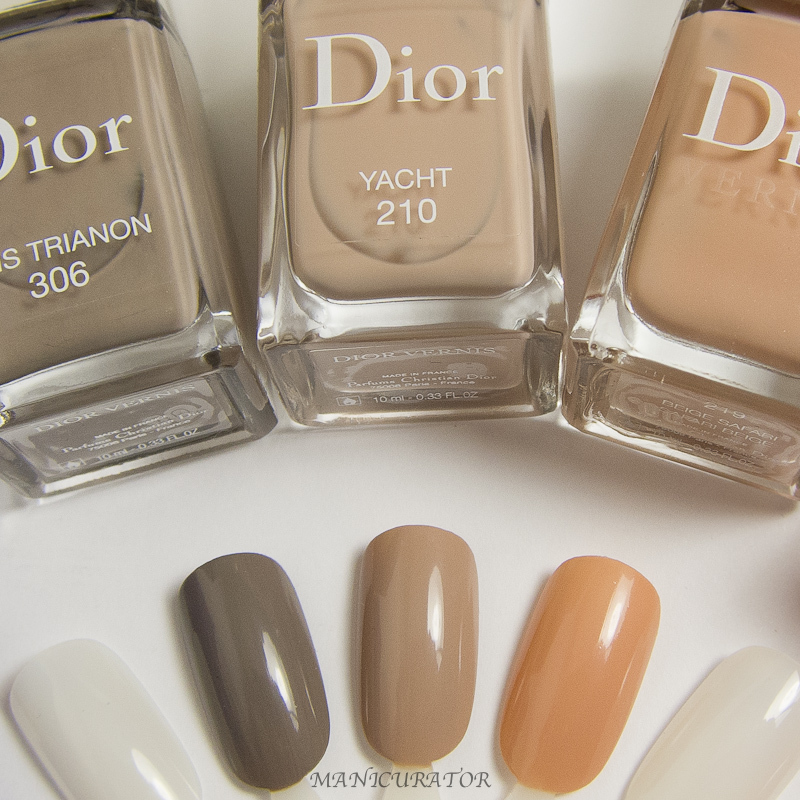 Gris Trianon 306, Yacht 210 & Beige Safari 219 are the neutrals in my collection (plus Incognito, but that is clearly pinker than these) and these are clearly different from each other. 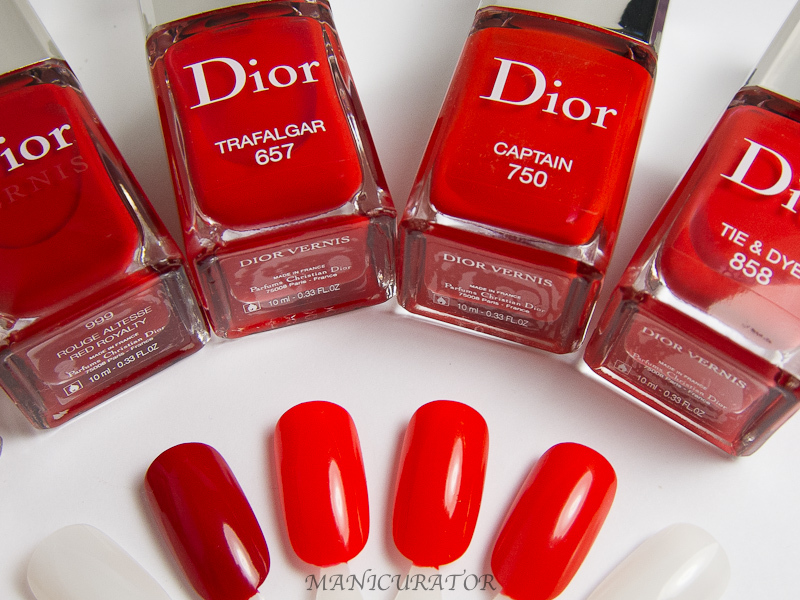 Trafalgar, Captain and Tie & Dye are quite similar, and it's hard to tell in the photos but they are not exactly the same. 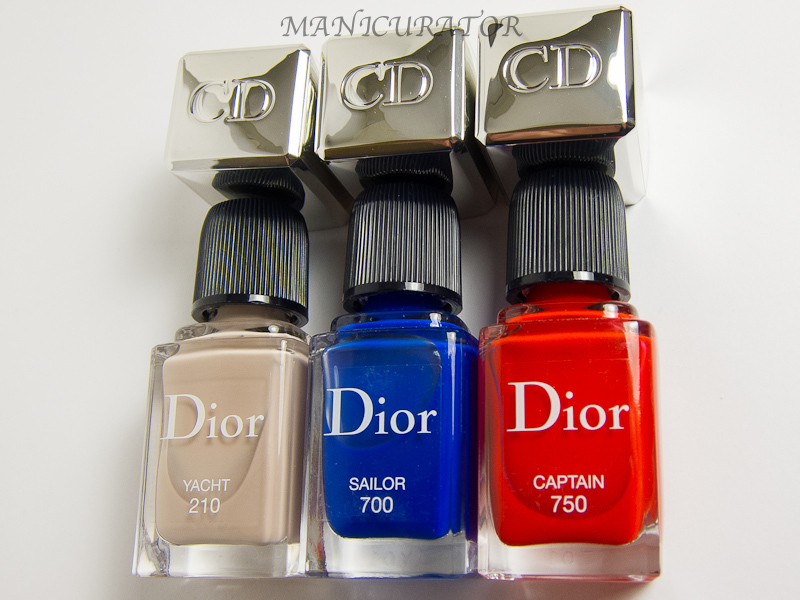 Trafalgar and Captain have the same creme/jelly formula but Trafalgar is a touch more blue based than Captain. 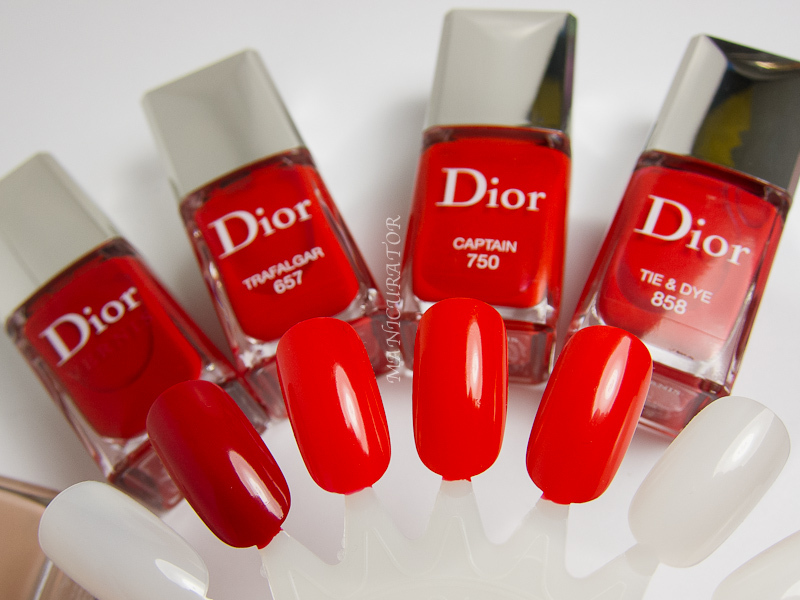 Tie & Dye is a red creme with a touch of coral. The Shoppes at Palazzo (702-734-1102). Love them all, but Sailor is making me swoon! Gorgeous. Also, love the comparisons! Thanks. Great post! Love the comparisons and all your flawless photos! Sailor is super vibrant. 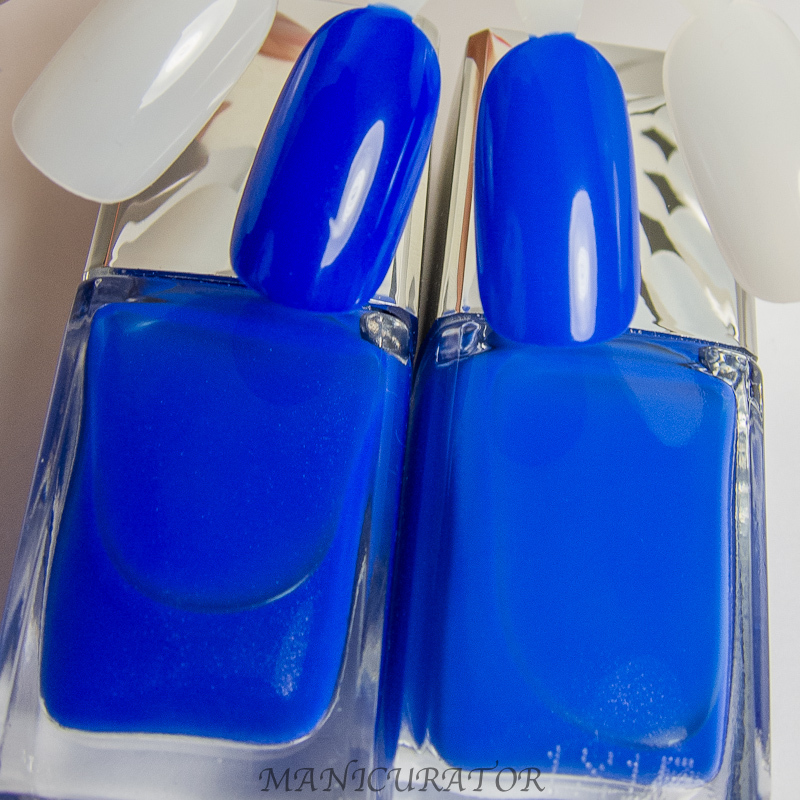 Any chance it is close to YSL Bleu Majorelle? great swatch and compare, thanks! Wow - I would love to have all three of these! They are LOVELY! What a great trio. Re: your comparisons - YES! 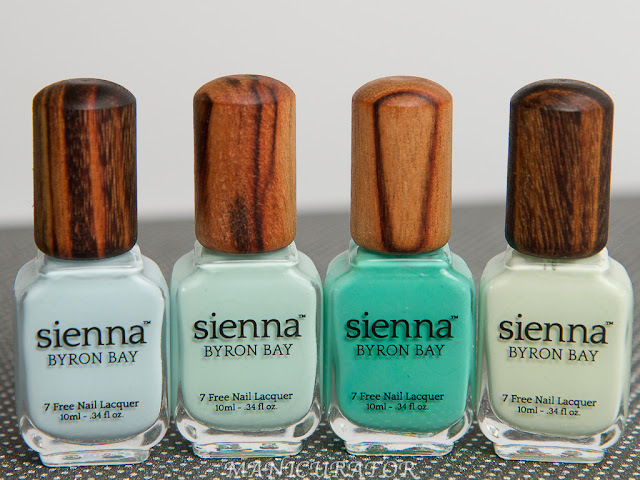 It is wonderful to see how polishes differ (or don't). And also to have your thoughts on them, especially as to how the formulas compare. Thank you! Great post! I love all three so much, but I think I must have Sailor. And I feel like the stickers wouldn't go over too well on my nails either!